It's hard to believe we're near the end of a decade, just under a year away from 2020. While we haven't arrived on Mars yet, and we are still hoping for a true hoverboard, our world has gone through some fairly sizeable shifts, led by the increasing importance of software. From how we shop, fly, learn, connect and entertain ourselves, software is fueling the next major industrial revolution, and is more important to business survival than ever before. That means running an enterprise software ecosystem is harder than ever before, too. From legacy systems, to cloud native development, accelerated release cycles and the need to support an explosion of device types. Under the surface we've embraced microservices, Kubernetes has become main street and Go is now one of the hottest programming languages. But, as we prepare ourselves for this next major industrial revolution, I've outlined some of the key tech trends I expect to see ramp up this year. AI and Automation. Enterprises will further accelerate their automation efforts, including the adoption of AI, to simplify their increasingly complex hybrid, web-scale cloud environments and the application factors (e.g. containers and microservices) that are driving that complexity. With two-thirds of CIOs already saying that complexity makes it impossible to manage performance, automation and AI will become central to streamlining enterprise cloud environments. Legacy tools hit their limits. CTOs and application architects will hit the wall trying to use their old tools and techniques for monitoring more dynamic, microservices-based applications as they scale into production. This dead-end is especially problematic as 72 percent of CIOs say that monitoring microservices in real-time is already nearly impossible. User experience becomes a priority to IT. As enterprises shift their focus from building their cloud platforms to optimizing them, user experience will re-emerge as a critical success factor for IT. Over three-quarters of CIOs today say that multi-cloud environments make it harder to monitor the user experience. Technology teams will need to understand the impact that back-end system performance has on the end user, and proactively work with digital business teams to enhance the user experience. From DevOps to NoOps. Is this the end of IT Ops? Of course not. As automation increases, and enterprises further leverage AI, we expect to see more businesses increase the shift from manual operations, troubleshooting and configuration to value-oriented tasks. PaaS platforms. The likes of PCF, RHOS and VMWare will become the primary platforms for building hybrid, multi-cloud enterprise IT environments. Portability for applications and workloads across both internal and external clouds will be essential for achieving digital transformation at enterprise scale. Ultimately, if there is one big theme it's utilizing AI and automation to shift time spent from manual work to value-added work. We all know that resources are constrained, complexity is rising and the importance of quality software delivery is greater than ever. It will be those that take advantage of the best-in-breed platforms, harness AI and leverage best practices, that will enable faster transformation and better user experiences. Plus, you get to have more fun. What's not to like about that? 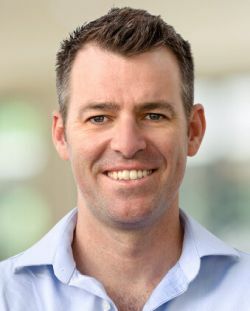 Dave, a native Australian, is a true international marketer having developed his craft running marketing for Dynatrace in Asia, Europe and now globally from the US in Boston. Dave is a visionary marketer and has been responsible for repositioning Dynatrace from an APM vendor to a Software Intelligence leader. He balances his marketing abilities with technical know-how, and is often found demoing Dynatrace at events or on camera. Dave is a passionate keynote speaker, and has been a regular at major LinkedIn events across the globe sharing his stories on digital transformation, customer experience and IOT. A dad of two girls, Dave is an Australian Rules sports fanatic, and musician.